Sharing is caring, but sharing yourself can be downright awkward. Jay Atwood has a particular desire for sharing and presenting. Starting in 2010, at an early Learning 2.0 conference, Jay found himself on a presentation journey that continues to this day. Passionate about a variety of things, but particularly spreadsheets, (Don’t hold that against him) Jay shares his presentation experiences and helps us understand why we as educators should reflect and share our best practices with others. 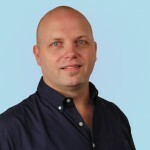 Jay is currently the High School EdTech Coordinator at Singapore American School where he leads tech integration, professional development and a BYOD program for 1200 students. He’s a Google Certified Teacher and Apple Distinguished Educator who leads workshops and keynotes at edtech conferences around the world.